Mobile scavenger hunt continues with great prizes! 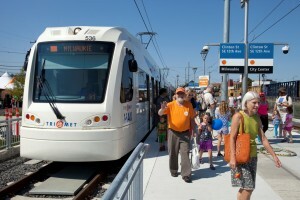 About 40,000 trips were taken on the MAX Orange Line on Saturday, Sept. 12 on opening day. Also, tens of thousands of people experienced Tilikum Crossing, Bridge of the People, for the first time and visited the community events all along the line. The $1.49 billion Orange Line came in on time and under budget in the range of $48 million. The Orange Line and nearby bus service mean more service and better connections for our riders to get to jobs, school and other community activities. While the grand opening celebration was a blast, the fun continues this week! 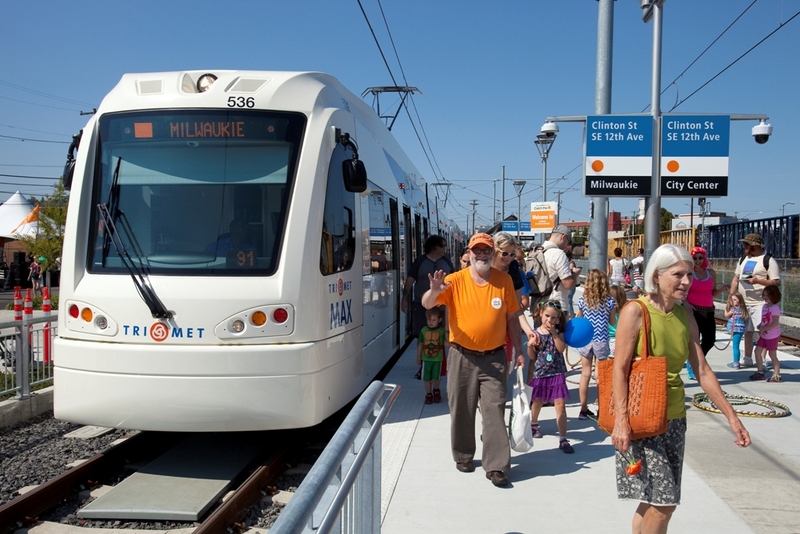 TriMet’s “Orange Marks the Spot” mobile scavenger hunt continues through Saturday, Sept. 20. TriMet launched the mobile scavenger hunt – Orange Marks the Spot – on opening day and there’s still time to get in the game! We’re giving away about two dozen prizes a day, and three lucky grand prize winners will get two roundtrip tickets anywhere Alaska Airlines flies. The game runs through Saturday, Sept. 20 and is built into the new version of the TriMet Tickets mobile ticketing app. People can download the free app at the iTunes or Google Play. Current app users need to download the new app update from Thursday, Sept. 10 to play. Check out this video on easy it is. To get in the game go to catchtheorange.com/game for details and while you’re there, check out the full list of prizes.